The materials on display told the tale of mankind’s interactions with nature, from agriculture to amateur gardening. Visitors could trace the growth of botany as its own science and the flourishing of landscape gardening as knowledge was shared across continents. 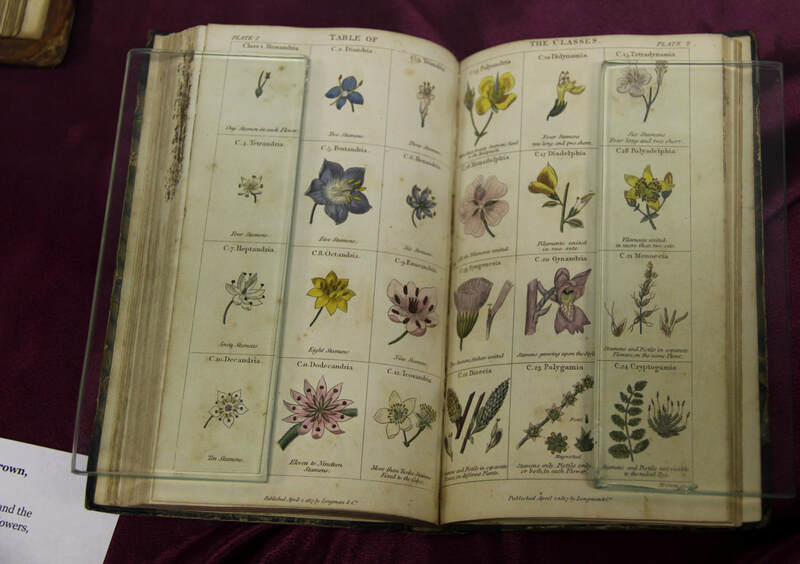 Some of our rarest materials were on display, including a flower arranging game from the 1860s and a collection of hand-colored botanical prints from the 1700s. Fitton, Sarah Mary. Conversations on Botany. London: Longman, Hurst, Rees, Orme, and Brown, 1817.